In my eyes William Shatner will always be Captain James T. Kirk of the Starship Enterprise. However, in his new book and audiobook, Star Trek Memories from Harper Collins (audio version of Star Trek Memories), he tries too hard to tell the behind-the-scenes Star Trek saga. It doesnt work. Shatner tries to appear like he was there from the inception  but he wasnt, he knows it, and it is demonstrated in the text. Even in audio form, where Shatner is a respectable narrator, his words come off hollow. 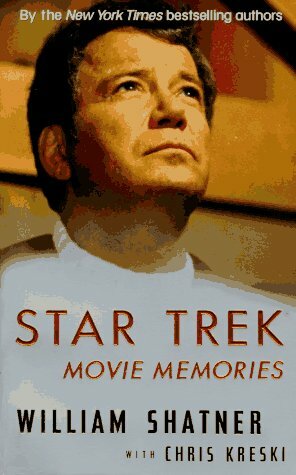 If this book is successful, Shatner may want to compose a book of the Trek anecdotes that he entertains crowds with at conventions. How Cal-Tech Saved Star Trek (from J.C. Consulting) is an audio oddity. This hour-long cassette relates how the Cal-Tech students marched on NBC on January 6, 1968 to save Star Trek. It features original recordings made on site and interviews. The sound quality is primitive, reflecting the level of equipment available for personal use in 1968. This audio chronicle is a rare find for Star Trek history fans who have heard and read many accounts of this story, including Shatner's description of the event in his new book. This historic tape is a treasure trove for fans of Trek history to cherish. Need a Guide to Another Universe? Epi-log Magazine is an authentic prize  a valuable resource for episode information for television series of all kinds. The magazine covers all genres: comedy, drama, fantasy, adventure, cartoons, and science fiction; from early shows from the 50s to the British imports seen on PBS. A bravo to a magazine that fills a creative void and to its Publisher/Editor William E. Anchors, Jr. For the $5.95 cover price, Epi-log provides a valuable television reference for writers who want to create in precreated universes (Indiana Jones, Star Trek, Forever Knight, etc.). Also, it is for the videophiles who like to keep their episodes in order. The editors cover both short run series and the long runners like Star Trek: The Next Generation and Quantum Leap. One of syndication's most enduring shows is Gilligans Island. Now three of the four surviving cast members have written books about their lives on Gilligans Isle and its aftermath. 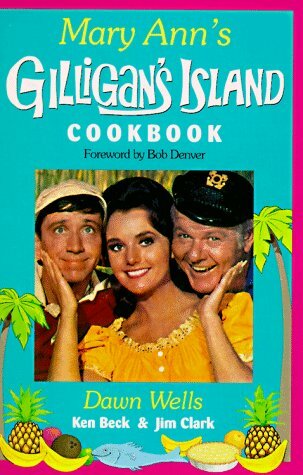 In Mary Anns Gilligans Island Cookbook from Ruthledge Press, Dawn Wells combines her insights into the shows cast and crew with wonderful recipes. Ruthledge Press also prints the Aunt Bee Cookbook and Aunt Bee Postcard Cookbook. Russell Johnson (The Professor) played heavies and B-rated science fiction characters before taking his amazing trip to the island, which he recounts in his book Here on Gilligans Isle from Harper books. This insider look into an actor and his coworkers is a study in the art of television production. Mr. Johnson's book also talks about the price of fame and the difficulties of trying to find other work after his stay on the island. An audio version of the book, read by Mr. Johnson, is available from Dove audio.